(P1) Chinese women have made their strongest showing on Forbes magazine’s list of the world’s most powerful women. (P2) The survey also included a record number of women from the UK, though German Chancellor Angela Merkel remains in the top spot. (P3) Hillary Clinton, the US presidential candidate, and Janet Yellen, chair of the Federal Reserve, were second and third. (P4) The US dominated the list with 51 women represented, while China was second. (P5) There are a record nine women from the world’s most populous nation on the 2016 Power Women list. 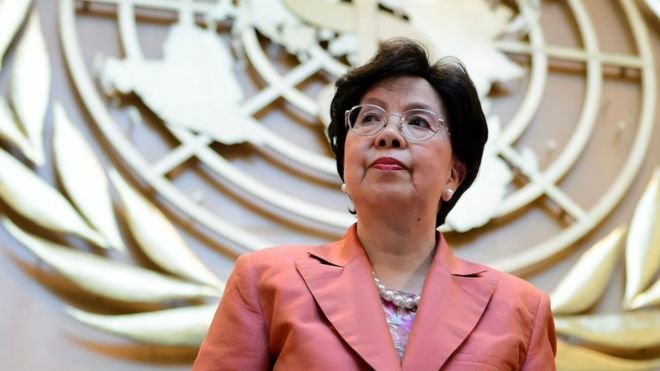 Lucy Peng, a senior executive at e-commerce giant Alibaba, and Margaret Chan, Director General of the World Health Organization, are the highest-ranked. Also on the list are Pollyanna Chu, chief executive of Hong Kong financial services firm Kingston Securities, and China’s First Lady Peng Liyuan. (P6) The survey features 100 women from 29 countries who represent sectors such as politics, business, technology, and philanthropy. (P7) Forbes said the women on the list control $1tn (£694bn) in revenue and influence more than 3.6bn people around the world. (P8) There are 32 chief executives on the list, 12 world leaders, and 11 billionaires, including nine who have built billion-dollar companies from scratch. The average age is 57, with Yahoo chief executive Marissa Mayer the youngest at 41 and Britain’s Queen Elizabeth II the oldest at 90. (P9) The number of UK women who made the rankings doubled to six. Besides Queen Elizabeth, they include Nemat Shafik, deputy governor of the Bank of England, and Katherine Viner, editor of The Guardian. The newcomers are Nicola Sturgeon, Scotland’s First Minister, Zanny Minton Beddoes, editor of The Economist, and Eliza Manningham-Buller, chair of the Wellcome Trust. (P10) This is the sixth consecutive year Mrs. Merkel has topped the list and the 11th time in total. (P11) Among the most high-profile drop-offs is Dilma Rousseff, the former president of Brazil, who was impeached in May over allegations of violating fiscal rules, which she denies. (P12) Elizabeth Holmes the founder of the blood-testing firm Theranos, also failed to make the list. US federal agencies are investigating Theranos over allegations its tests are inaccurate. Last week, Forbes lowered its estimate of Holmes’ personal fortune from $4.5bn to nothing, after previously declaring her America’s richest self-made woman. Why do you think women in China are becoming more powerful in the world? Why do you think the USA dominated the list? Would you like to be a philanthropist? Why or why not? Which periodical published the list? How many women in the survey are from the USA? Who was the most prominent person to be cut from the list?